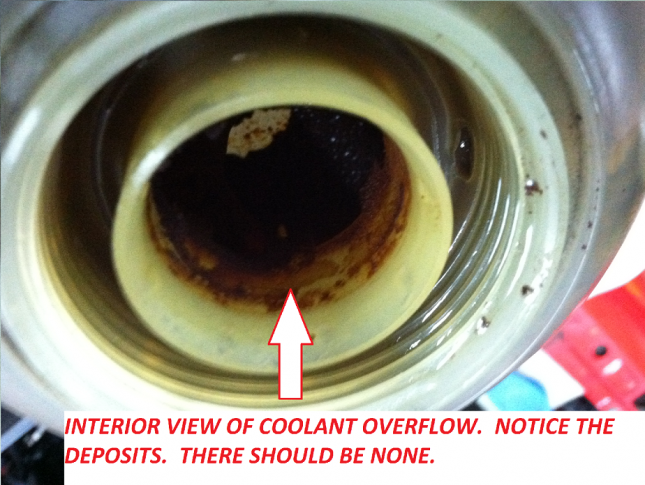 Coolant / Antifreeze – What’s With the Color ?? 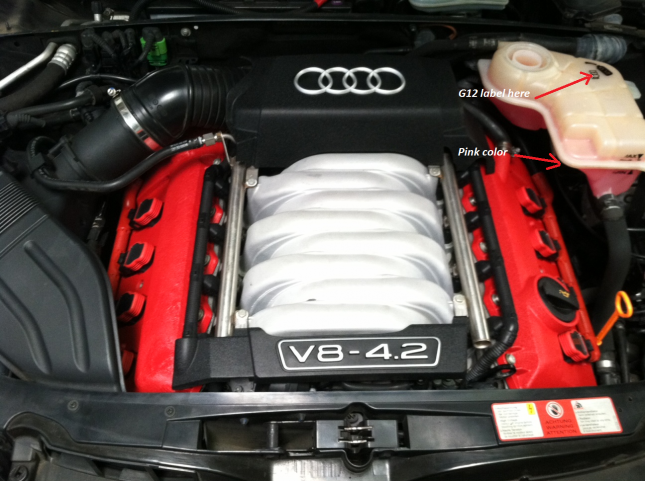 Recently, we have had multiple Volkswagen and Audi customers come into the shop with cooling system issues. 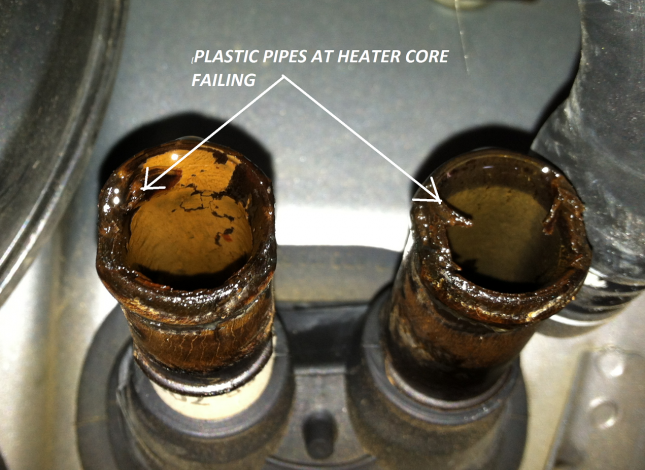 These vehicles had problems ranging from poor heat from the heater core to engine overheating and water pump failure. The cooling system is one of the most important systems in your vehicle and one that is often most neglected. Passenger vehicles used to have one type of antifreeze that was made of ethylene glycol, commonly known as “the green stuff.” When you look in the owner’s manual under the Cooling System section, you will see that your manufacturer specifies a particular antifreeze for your vehicle. Green coolant is no longer acceptable. 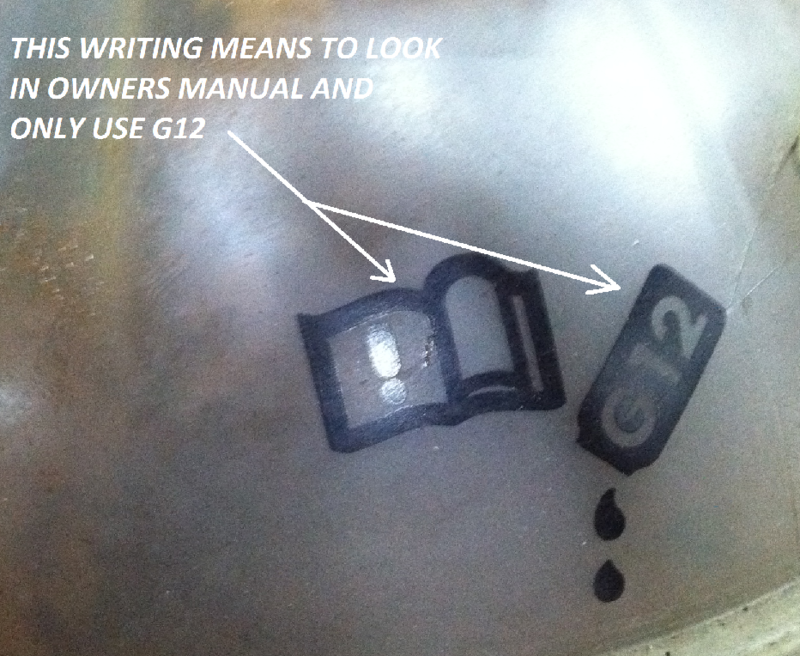 G11 is blue in color and is the older VW coolant. VW / Audi G12 is pink in color, and manufacturers have a new G12++ which is borderline pink / purple. New antifreeze / coolants are designed for long life and specific engine materials (aluminum cylinder heads, multi-layered steel head gaskets, cast iron / aluminum engine blocks). 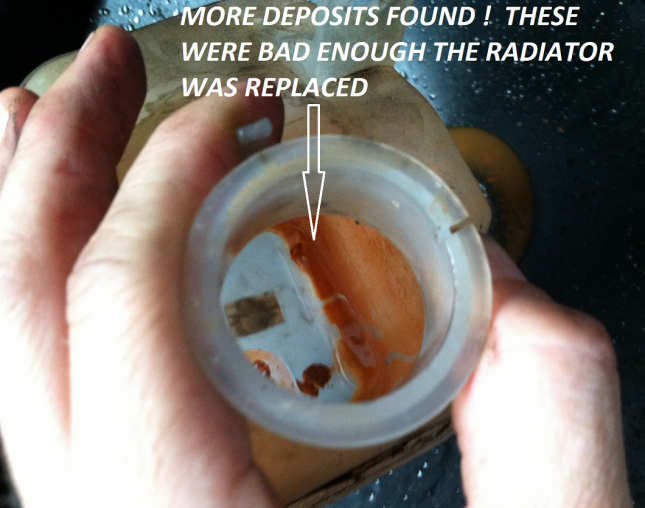 There is still a recommended service interval for replacing these long-life fluids. For Volkswagen and Audi vehicles, we recommend flushing and refilling the cooling system every 3 to 4 years. Chemical additives in antifreeze break down, become weak and “get dirty” so the proper draining and flushing of a cooling system could eliminate costly parts replacement in the future. At Das Autohaus, we believe that a cooling system has 4 main components that must be flushed independently: heater core, radiator, engine block and hoses. Mixing any color antifreeze with VW and Audi antifreeze will have adverse effects on the cooling system. Coolant mixed with Volkswagen G12 can lead to gelling problems and lime / scale deposits that build up in radiator core and heater core, thereby restricting flow and causing water pump bearing failure. Though maintenance items can be easily overlooked, problems associated with lack of service are often costly (example: flush cooling system or replace radiator / heater core, worse yet…an overheated engine that needs to be replaced) .